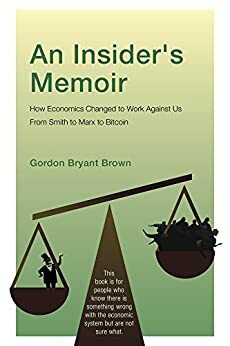 Excerpt from Chapter 5 of Bryant Brown's recently released book entitled "An Insider's Memoir: How Economics Changed to Work Against Us From Smith to Marx to Bitcoin"
Nations rely on taxes – the people pay all the bills. For long-term projects a nation has choices. For example, a government can print money, or print bonds and sell them. At one time savings bonds were a great source of money for governments. Bonds were sold to the people and repaid to the people, with interest. The government could also print bonds, then sell them to a publicly-owned national bank, with the interest repaid to the people through the national bank. The worst option for governments is to print bonds, and sell them to the private banks, with banks getting the interest. Prior to the 1970’s, if the U.S. or Canadian governments had significant projects to fund, they paid for it from their own resources. If they wanted a new battleship or new bridge, they simply paid for it. The money could be raised from money on hand, or from newly printed money, or borrowed from the federal bank, then repaid with interest to the government. After the mid-1970’s, money for new projects was obtained by selling bonds to banks, which would be repaid with interest. The change was that simple. The charts below show the result of that change: the United States chart is on the left and Canada on the right. The obvious features are the similarity of the start dates and the similarity of the steep rise in debt. In both charts national debt from about 1900 is all but flat through the 1940’s, 1950’s, 1960’s, and stays more or less flat until the mid-1970’s. Flat for thirty years, then it soars. The decades when debt did not increase include the 1930’s stimulus spending to end the depression, the huge expenses of the Second World War in the 1940’s and the Korean War in the 1950’s. Between the years 1954-1960, Canada and the United States built the St. Lawrence Seaway, an expensive undertaking that allowed ships from the Atlantic Ocean to sail inland through the Great Lakes to Chicago and Minnesota. To accomplish this, fifteen locks had to be built to lift ocean ships almost six hundred feet above sea level. Bridges had to be raised, canals deepened and one town moved. When it was completed prairie grain, coal and iron could be shipped directly to Europe. Hydroelectric power was a spin-off that added another $600 million to the cost and rapidly paid for itself. The total cost was huge for the time: C$470 million ($336.2 million from Canada) which was eventually to be paid for by tolls. By 1978 the Canadian portion had been paid, and in 1986 the U.S. eliminated tolls on their portion. The Canadian government lent the seaway corporation the money repaid as shares (equity). There was no surge in national debt. In 1969 the U.S. embarked on a program to put a man on the moon, which cost about $25 billion. The U.S. also had the costs of the 19-year Vietnam War from 1956-1975, which cost about $111 billion. Both occurred without a spike in debt. But in the mid 1970’s, with no similar huge expenses, for no apparent reason, debt began to soar. None of these costly items created debt to compare with whatever occurred in the 1970’s. A standard rule in finance is to pay for things over the useful life of the project. As I mentioned earlier, paying for a house over twenty or thirty years makes sense for young people. If a business buys a machine to use for ten years, paying for it over more than ten years would be foolish. For projects that will last decades, like harbors or museums or bridges, interest can be amortized over those longer periods, but cost because of interest, soars enormously. Soaring debt in the mid-1970’s was a direct result from governments financing everything by borrowing and paying interest to the banks. Governments did not have to do that then, and do not have to do that now. Governments are assumed to be the source of money: the US Constitution gives the government the right to ‘coin’ money. It can lend money and can charge interest, but if it lends it to itself, the interest is to be paid to itself. In the U.S. the escalating national debt has increasingly put pressure on the social contract. For example, social security has moved from being something natural, decent and fair that we once could afford, to an ‘entitlement’ program we cannot now afford. 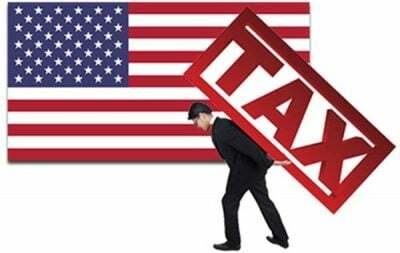 The national debt Is used to threaten health care, Old Age Security, education and all social programs, which have all been redefined as ‘expensive and unaffordable’ in our wealthier modern world. It makes no sense to me.